DSPTCH produces some great upgrades for your mirrorless or compact DSLR camera’s. Their products aren’t cheap, but greatly improve your comfort when you use your camera for long shoots. Click ‘read more’ to read my full review about the DSPTCH products. The Wrist Strap unhooked. Picture from the DSPTCH site. With my DSLRs I always used the supplied shoulder strap. Those do their job quite good, and if you have never used anything else you won’t miss a thing. Changing my bulky DSLR for my smaller and lighter Sony Alpha A6000 I used the supplied strap for some time. It wasn’t completely useless, but because of the light weight of the camera it did keep sliding from my shoulder. And the strap wasn’t long enough to use it as a sling. That’s why I started looking for an alternative. Looking at the different options I found a lot of premium leather straps, but they are expensive and not very versatile and they seem to be more about the looks than about the use. Then I found the DSPTCH Sling and Wrist Strap. 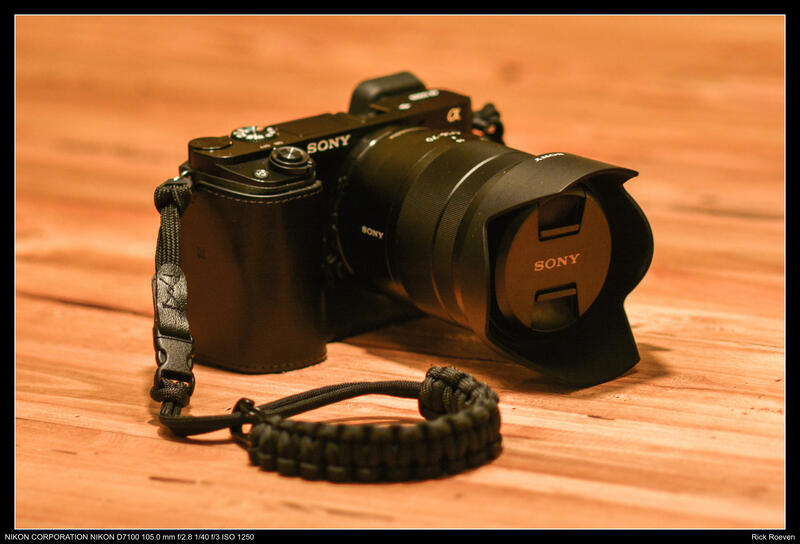 The DSPTCH Standard Camera Sling (Black) costs about 35 euros and the DSPTCH Camera Wrist Strap (Black) is about 25 euros, they are available in several colours but I opted for the simple black version to match my black Sony Alpha A6000. Not really a bargain when you realise it’s basically just a Wrist Strap made of a material DSPTCH calls ‘panacord’ and a Sling made of black synthetic material. The Sling is completely black, with just a small company logo on one side. 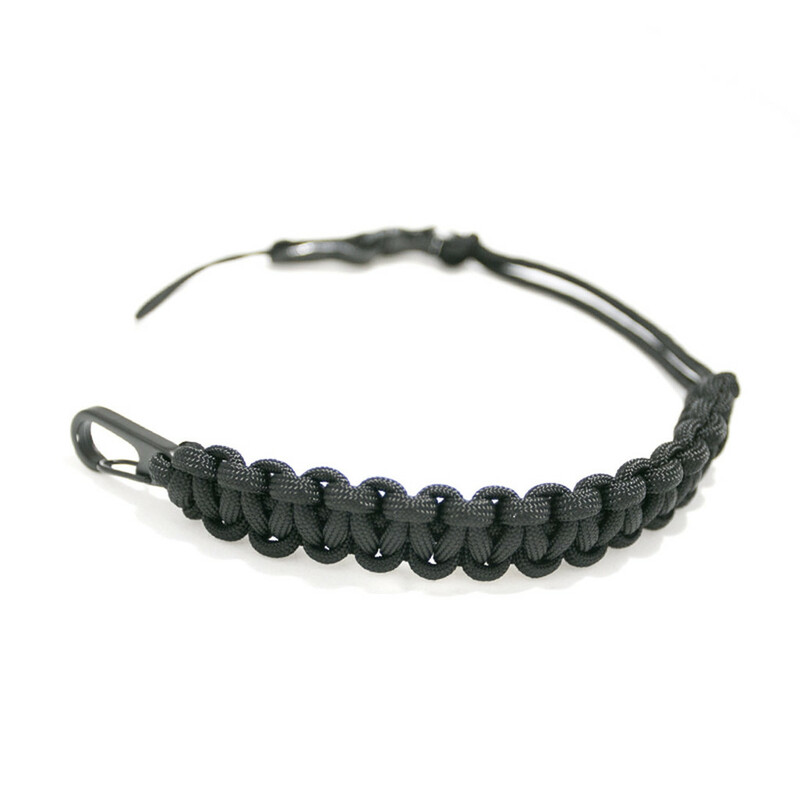 The Wrist Strap is braided in an innovative way (see picture), but it doesn’t have a logo. It looks like they used quite a long piece of panacord to braid the Wrist Strap, but I wasn’t planning on unravelling mine. If there are any readers brave enough to give it a go, please let me know what your tape measure told you. The DSPTCH Sling. Picture from the DSPTCH site. 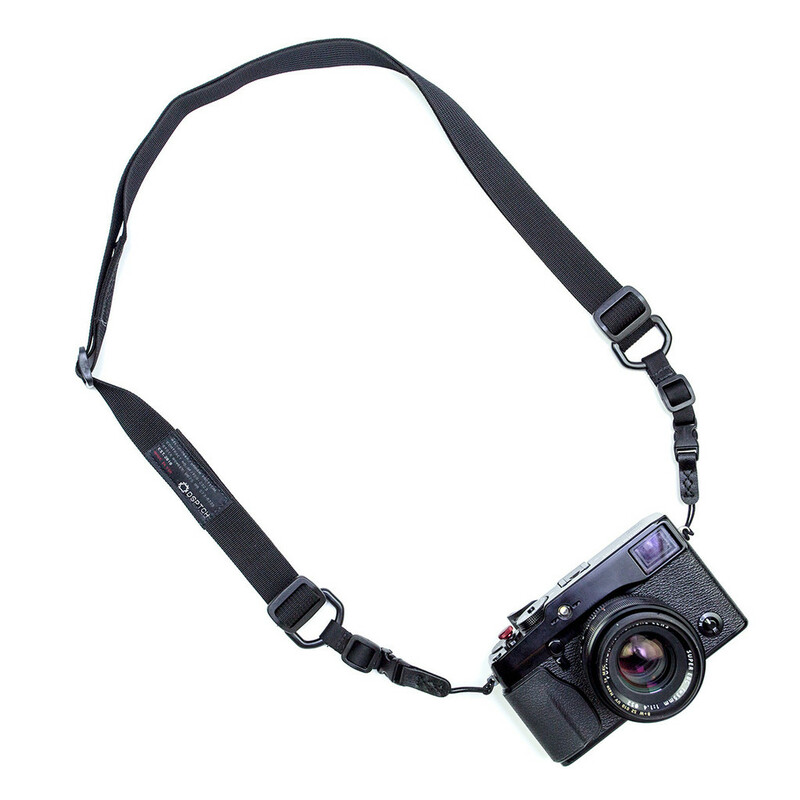 DSPTCH supplies the Sling with two kinds of connectors you can attach to you camera. One set with wider, flat straps for cameras with bigger anchorages, and one set of smaller straps for lighter and smaller cameras. On the other end of the connectors you’ll find a kind of fragile looking ‘quick-lock connector’, similar to the one you find on camera bags but smaller. Even though the connectors look fragile, they are quite sturdy and seem to stand up to the abuse of everyday use well. I never worry about the safety of my camera. But for really big cameras (pro DSLRs) I’d suggest you go for the ‘Heavy’ version of the Sling. One smart thing is the connectors on the Sling and Wrist Strap are interchangeable, so you can easily switch between the Sling and Wrist Strap. Yes, these are expensive accessories, but are they worth their money? The short answer: Yes! 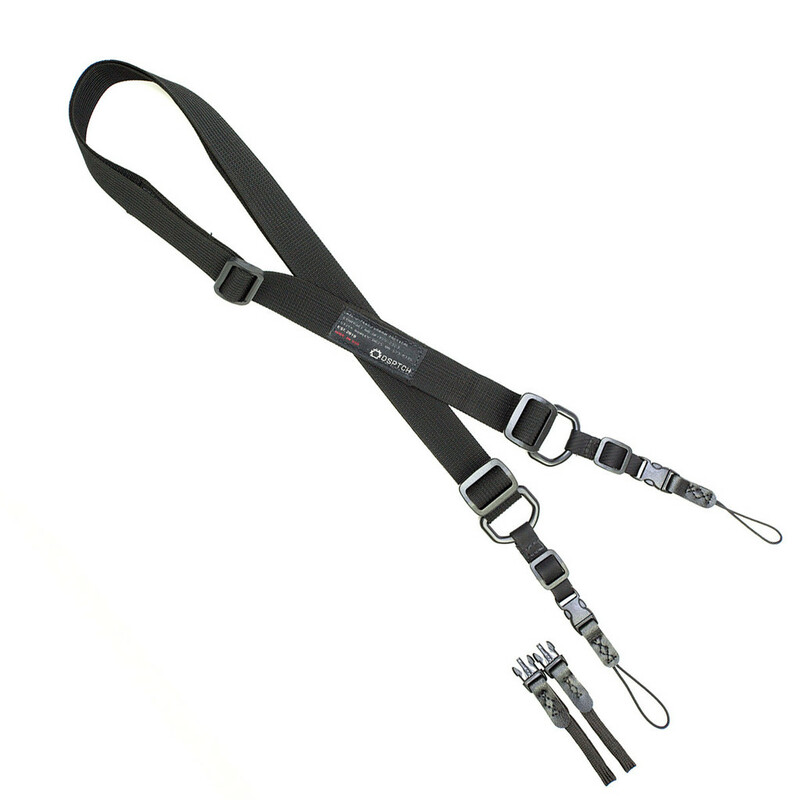 The Sling is very long and has some clamps so you can easily adjust the length to accommodate your own length and build. I’m a big guy and I’m 190 cm long and I can make it long enough to carry it across my chest with the A6000 hanging on my back. This way I hardly notice having my camera with me. If a photo-opportunity presents itself I can grab the camera slide it forward and take the picture, without having to take the sling off. If you rather carry the camera in front of your chest (in a crowded street for instance when you want to keep your camera in sight), you can shorten the sling with the clamps and use it like a ‘normal’ strap. I also like the Wrist Strap a lot. I use it even more than I use the Sling. When I go out with taking photos as my primary goal I keep the camera hanging loosely in my fingers and the Wrist Strap gives me the confidence I won’t drop the camera by accident. The braided ‘panacord’ feels nice, it doesn’t hurt or irritate my skin. The Strap is quite tight so taking it off in a hurry won’t work. It requires some dexterity, but it does make it safer. You could always unclamp the hook on the end of the Wrist Strap to take it off easier. Yes, these straps are expensive but if you ask me they are worth every penny. One thing that may turn people off is they don’t look very expensive, if you like to show off your fancy gear the DSPTCH products aren’t for you. They do make up for it in pure usability and perfect craftsmanship. So if you are looking for a nice upgrade for your mirrorless camera or smaller DSLR the DSPTCH Sling and Wrist Strap are perfect for you. Very nice review. I really like the wrist straps they make as well. Thanks David! DSPTCH does make some great stuff, and it is very durable too.